I was in the zone, driving toward the finish line. It had been a long day, 10+ hours on the road, plus several hours meeting with a client. An hour away from home by the time the sun rose, now watching the sun begin to set, I was more than ready to be home. Just then, I ran into heavy construction. Wow, just what I needed, another half hour or more added to my day! On a whim, I turned off the interstate and headed down a back road, hoping to find a quicker way home. Like many of life's detours, this didn't end up being the fastest way home. What it was though was a reminder that some of life's best moments are not found where we expect them. Once off the interstate, I quickly found myself behind some farm equipment, unable to pass. Midwest living at its finest! Rocketing along at blistering 10MPH, I found myself realizing that I had been better off sitting in construction on the interstate. A turtle crawled past and waved a friendly hello, before fading rapidly into the distance. That's when I saw a sign saying there was a lake coming up at the next turn. What the heck, I was already not getting home until 9 or 10, so I decided to go exploring. I took yet another detour and came upon a beautiful lake. I wearily got out of my car, stretched a bit, and sat down next to it on a smooth rock. 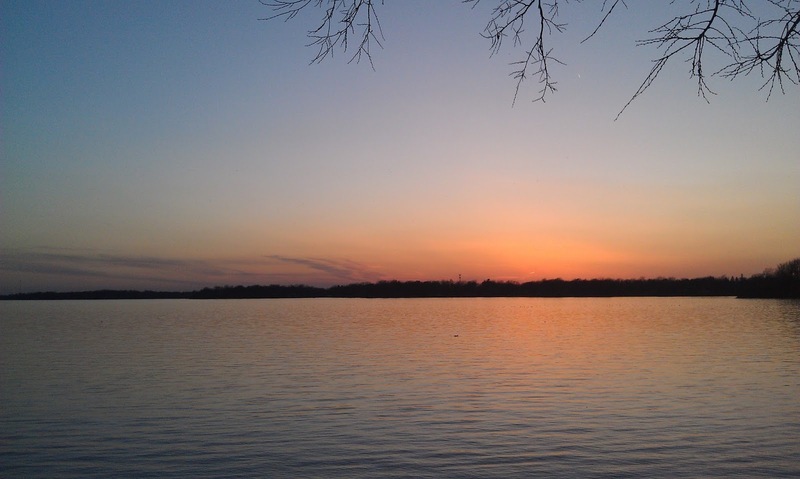 I watched as the master painter expertly created one of the prettiest sunsets I had ever seen. Colors exploded, birds chirped, and the sound of the waves gently lapping against the shore chased the stress from my shoulders. For a brief moment, I forgot about my goals of getting home and enjoyed the moment. Eventually, though, the moment passed, and I gathered myself and continued on my journey. Isn't this how life is? We get so focused on getting to our destinations sometimes, that we are frustrated when we go off on a detour. Why do we let detours stress us out so much? Why can't we learn to enjoy them? For me, I think it is a control thing. I like feeling like I'm in control, and knowing what the next step along the plan I have so carefully laid out is. It often makes me angry and upset, or at the very least annoyed when reality and my expectations refuse to share the same room. Something I've learned over the years though is that often times God has other plans for our lives. Most of the time, looking in the rearview mirror after enough time has gone by, I appreciated the lessons learned from those detours. I'm gradually learning to enjoy both the journey and the detours of life. Where are we really running towards anyway? Why is it so important that things happen exactly the way we plan? Next time life gets off track a bit, remember this story, and take a few minutes to really enjoy and explore the detour. You might just find peace right where you are if you start looking for it. Enjoy this story? Why not share it so that others can enjoy? 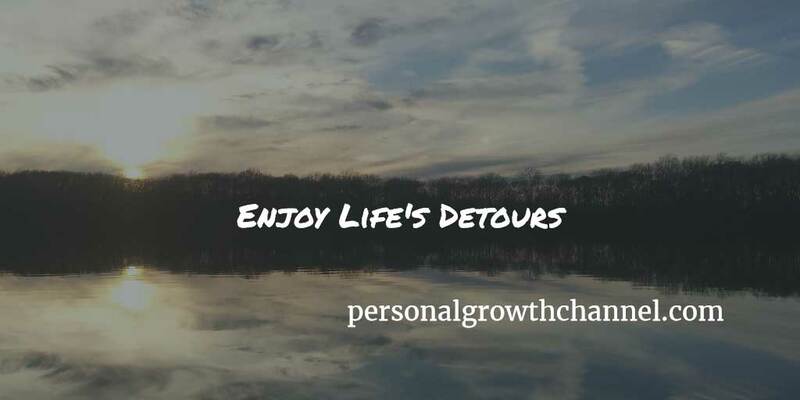 Comment below with any of your own detours, I love to hear people's stories!